PennWell Corporation, Offshore, and Renewable Energy World are pleased to announce the 2018 Offshore Wind Executive Summit (OWES) will take place September 24-25 at the Westin Galleria in Houston, TX. The Offshore Wind Executive Summit provides a quality educational platform to integrate two industry sectors vital to accelerating the growth of U.S. offshore wind projects. 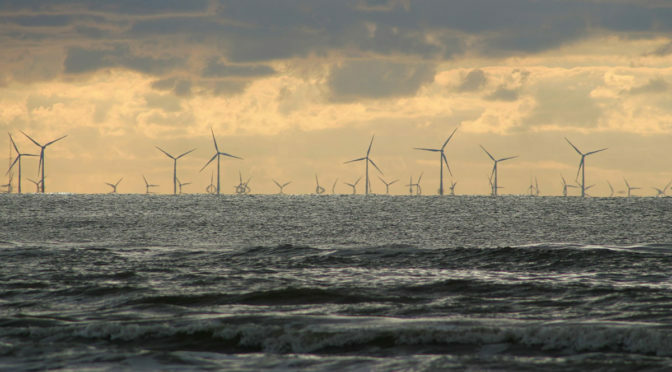 Attendees will hear straight from the developers currently building offshore wind farms on topics such as policy and permitting, engineering and construction, legal and finance, operations and maintenance. The event is open to the public with registration. In addition to engineers, supervisors and managers, consultants, and field professionals within the renewable energy and oil and gas sectors would benefit from attending. View the full event schedule here. Sessions will cover U.S. Wind Process Timeline and Oil & Gas Integration, Project Design & Cost Risk Analysis, An In-Depth Look at Current Offshore Projects, Workforce Development and Training, Legal Issues in Commercial-Scale, Technology & the Future of O&M, and the Role of Ports and Shipyards. Gain access to both days (including access to all conference sessions, networking receptions, breakfast, lunch, and coffee breaks) for only $650. Group registration options are also available at a discounted rate. For more information on the Offshore Wind Executive Summit, please visit www.offshorewindsummit.com. Founded in 1910, PennWell Corporation is a privately held and highly diversified business-to-business media and information company that provides quality content and integrated marketing solutions for the following industries in addition to power delivery: oil and gas, electric power generation, hydropower, renewable energy, water and wastewater treatment, waste management, electronics, optoelectronics, fiberoptics, aerospace and avionics, LEDS and lighting, fire and dental. In addition to PennWell’s headquarters in Tulsa, Oklahoma, and other U.S. offices in major locations, the company has offices in London and Moscow.